Best night sleep in years! Did not realize what a good night sleep I was missing. Better than I expected. I have acid reflux and cannot raise my bed. This item is perfect to help my need to be comfortable. The wedge support truly does just that - it really supports my back when watching T.V. or my knees should the need arise. Also, having purchased two wedges, I use it for decorative purposes. I put my pillow shams on them which gives extra height to them as they are to the rear of all my other pillows! This wedge is the perfect height for me. It helps my GERD immensely, and in spite of what others say, I do not think it is too hard. It is neither too high nor low, so I can sleep on my back or side. You can even sleep on your stomach if you bend on of your knees. I love my wedge! Can't believe I waited so long to buy one. Works great for my 91 yr old Mom. My Mom has headaches from her neck and this is helping. Her left leg has been swelling also. This is helping that too. Wedge pillow gives great support. I like the firmness of the wedge. If you're a back sleeper, it's perfect. Also, it's great for watching TV in bed. I have never been able to use a regular pillow, but I've recently been getting a stiff neck from sleeping flat on my mattress. This wedge elevates my upper body just enough so that I can sleep well and not get a stiff neck. Anyone who needs a softer surface for sleeping could easily add a pillow on top of the wedge. I get sinus infections and can't breathe at night. This raises my head just enough so I can breathe and sleep without any problem. 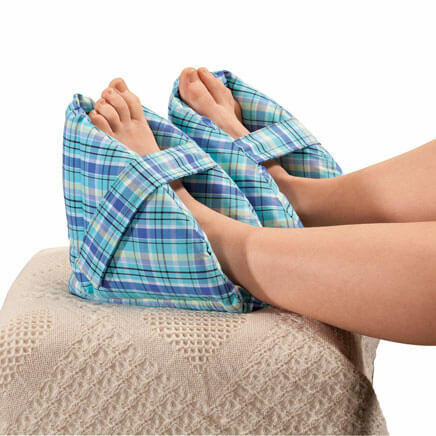 I have bad ciculation in my legs so I bought the wedge pillow, and now I have to share it with the whole family. I need to buy more. I got this pillow to put behind my regular pillow, wedge down, to read in bed before going to sleep. It works perfectly for great comfort! This wedge support solved my problem of having to sleep upright. I had been considering buying a hospital bed. No need to, this pillow works perfectly to keep me elevated so my lungs function better. The gentle slope cuts down on the sharp contrast between using multiple pillows.....reduces neck pain and encourages restful sleeping. My wife can't lie flat when sleeping, due to congestive heart failure. This keeps her at just the right angle for comfortable breathing, and it stays in place. No individual pillows to squirm and wiggle out of place. Just firm enough for good support, yet still comfortable. works perfectly for intended need. Thank you MK. I found it difficult to find a wedge pillow at a store, even at hospital supply stores. I developed vocal cord dysfunction from acid reflux. My allergist and speech therapist both indicated I needed to elevate my head when sleeping. They suggested concrete blocks under head of bed, forget that. My husband has a back problem so elevation for him caused him pain. I finally found the wedge pillows in the MK catalog and I am so pleased with them. I have the small & large pillows, the large one I wedge between the wall and the mattress (do not have a headboard) and bump my small one against it giving me greater length so I elevate from my torso as recommended. I do put my contoured orthopedic pillow on the top of the wedge for more softness because of fibromyalgia for more comfort. Really helps with sinus drainage. Also good for people with congestive heart failure. I bought the pillow for my Mom because she suffers from acid reflux. It has helped her tremendously. Great product! I use this every night. I should have purchased the extra cover because the one that is on the pillow is impossible to remove for washing. I am ordering one but in the meantime, I wrapped a small sheet around it for a clean cover. It seems to be working well. I don't know what the other reviewers were expecting. The wedge pillow works as it is supposed to. The pillow HAS to be (hard) firm otherwise your head would sink down and there would be NO support for your head. 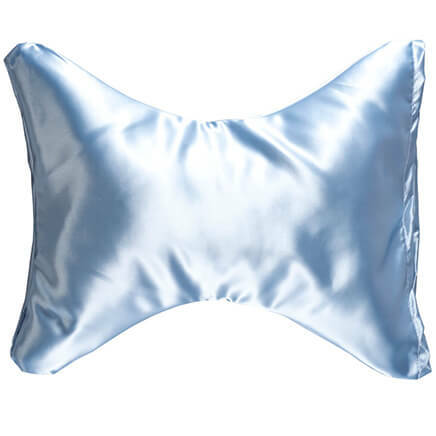 This pillow works wonders for a great night sleep. Being over weight I have a few issues at night, the angle works great for my back, my breathing and even helps with sinuses. I love the pillow and don't sleep well at all without it. Since I purchased this product my snoring has totally disappeared! I highly recommend this product! My grandfather has COPD and has trouble breathing at night while in bed. Of course "granddad" is on a limited income and had shopped at medical supply stores for similar elevated support pillows. Too costly! I saw the wedge pillow in your catalog for a very reasonable price, bought it and gave it to my granddad. He loved it!!! 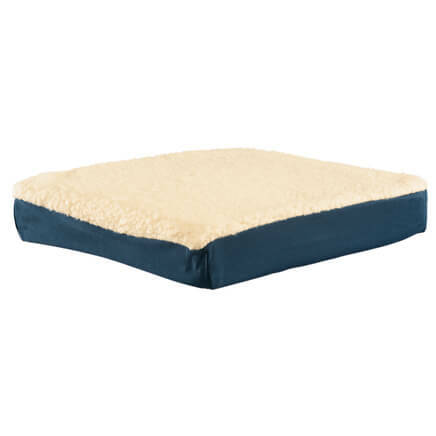 Not only did it supply the right support to help his breathing through the night,the price was right and it came with a pillow case, was light weight and kept it's support all night! My granddad and I thank you very much. This helps greatly with my husband's snoring and acid reflux. It does start to fall apart after about a year. The extra zip covers you can buy are much better than the ones that come with the pillow (which have a raw edge and don't launder well). Bought it for my mom as she cannot lay flat in bed. She sleeps much better now! I was trying to use double pillows to keep my head elevated to alleviate nighttime acid reflux and this product does the job extremely well. I sometimes still have to use a pillow on top of it when the reflux is extreme but for most nights it works well on its own. I would like an easier to remove cover so am thinking of making one of my own. I bought this wedge pillow to replace one that I've had for many years which was starting to fall apart. This pillow fits the bill perfectly. I use it with my own regular bed pillow on top of it to raise my head and shoulders. If I lay flat to sleep, my head gets congested and this pillow helps prevent that from happening. I also use it as a back rest when sitting in bed to watch TV - just need to stand it up on the flat end. Works great! Works just as expected without slipping. Use for elevating an individual's upper body while in bed or elevating an individual's legs while in bed. It works well for both applications without slipping. A complete help with sleeping!! Used it right out of the box..
After having a total knee replacement, I inverted it and use it as a way to elevate my leg for swelling. Very happy with it. This works excellent but is really Hard to lay against. It would be perfect if it was little bit softer..
Not nearly as good as the one I had years ago. Did provide good support when I slept on my back but was too rigid when I tried to roll over on my side. I don't quite know how it could be improved for that. Sorry. This pillow was too hard and not very comfortable. Tried to sleep with this wedge but found it too uncomfortable. My 11 year old grandson loves it, however. 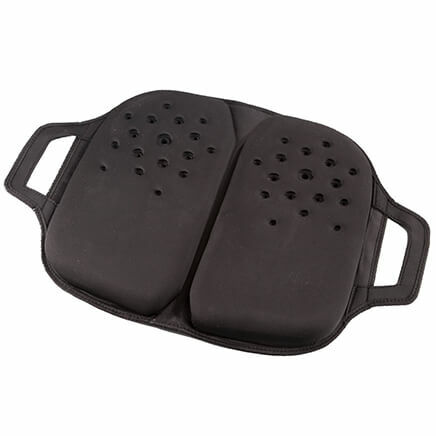 I bought this product for knee support. I have been sleeping with a wedge pillow under my knees for 10 years. Every foam pillow I've ever bought has been firm enough to hold it's shape, but still soft enough to be comfortable. This pillow is VERY hard and stiff. If you are using it to sit up in bed and read at night, it might be good, but I'm very disappointed. I use this to elevate my legs but it is rock hard and uncomfortable. Will have to replace it. 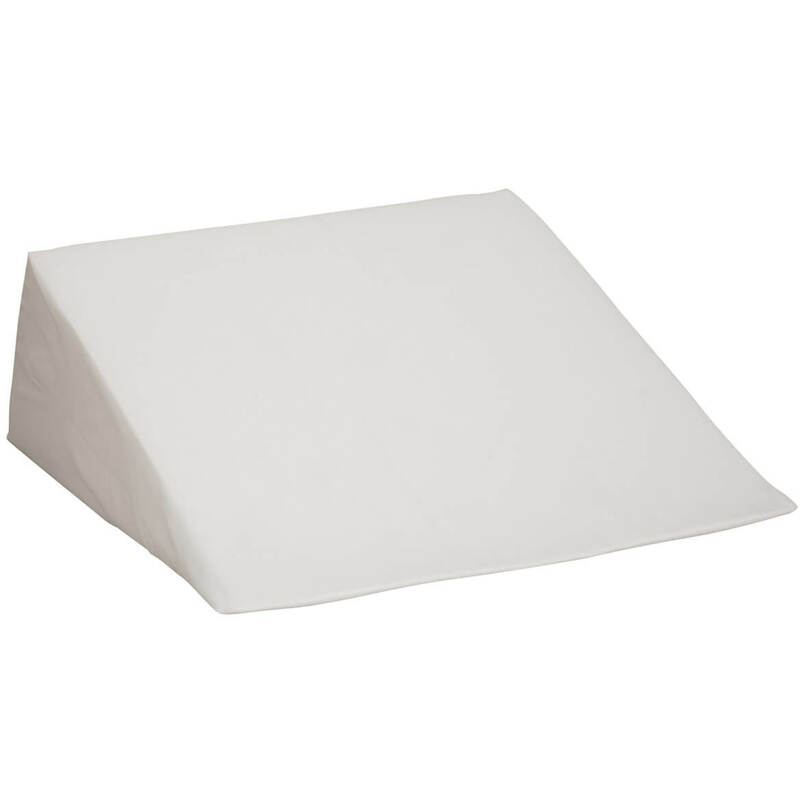 I bought this wedge pillow to keep my head and shoulders elevated to try to help with my sinusitis and congestion, but it was so stiff and uncomfortable, even with an extra pillow to soften it up. I also tried to put the wedge in between my boxspring and mattress, but that didn't work either. [...]What a ripoff. I needed to replace one that I have had for many years. very good reviews and I have looked for a long time for one that will holds my head up so I can breath better. It helps me sleep better! This appears to be a good wedge to elevate my head when reflux aka GERD is acting up. I have low back pain, I'm hoping this pillow will help when I sleep on my back. It has been very helpful for my knees & back but I wish it came with two pillow cases. For my mom who has trouble breathing. My feet & legs were swelling. I needed to have my feet raised when sleeping. This was a good item for that reason. It worked wonders! I have an old wedge pillow I have used for years. This one allowed me get a new one that just as tall in the back as the one I have now. Hopefully, it will be as good an my old one. GREAT for night time sleep with head colds!! My husband has trouble sleeping flat in bed. If you have acid reflux, this pillow is for you. Sleep better with sinus congestion. I chose Med size!! 9 inches Just getting out if hospital tomorrow..... Wish I could get overnight but too expensive. Already have a 12 inch wedge, and it is to high. This should be about right. I need a cover to put over my pillow and this one should fit. I have a family member who suffers from COPD and cannot lay flat to sleep. This wedge is a perfect solution. Need to keep my legs up at night due to neuropathy. These are hard to find! My Fiance has severe sleep apnea & this pillow has helped him tremendously to get a better nights sleep! need to correct this , purchased to start sleeping on my back. I watch TV at night in bed and I think this will be more comfortable than a stack of pillows. What are the dimensions of each of the sizes? S, M, L? BEST ANSWER: Thank you for your question. All wedge pillows are 22 1/2" long x 22 1/2" wide. Small wedge is 7 1/2" high; Medium wedge is 9" high; Large wedge is 12" high.We hope this information will be of help to you. which size got the best reviews? 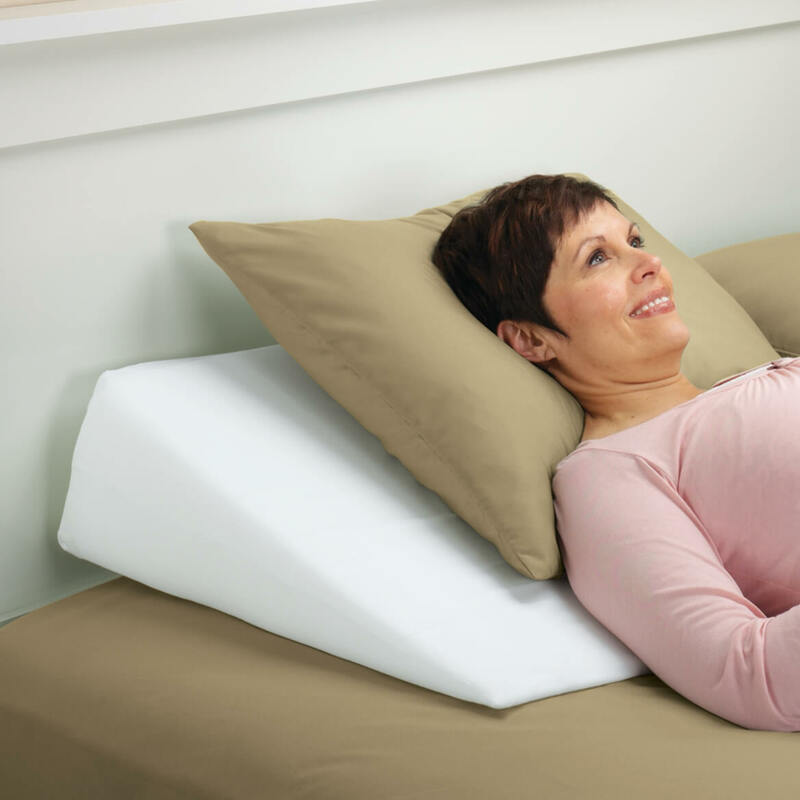 BEST ANSWER: I bought the wedge support pillow XL because I have asthma and acid reflux. I wanted something to elevate me that would help me breath at night, and keep my acid reflux under control. I love the wedge support pillow XL. It helps me with both problems. I highly recommend this product. I bought the xl and it's pretty big. Does the cover have a zipper? BEST ANSWER: The cover is form fitting and yes does have a zipper. Would suggest purchasing another cover so top cover can be washed more often than the other. No--The cover has a slit opening in the back. 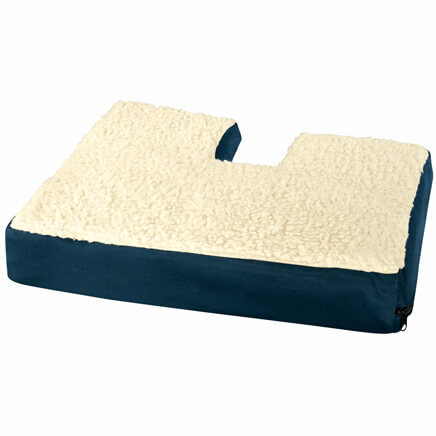 Is the large Wedge Support Pillow hard or does it have some give to it when you press on it? BEST ANSWER: Thank you for your question. It is hard, but has some give to it. We hope this information will be of help to you. How high is the pillow on its highest side? BEST ANSWER: Thank you for your question. The Small wedge is 7 1/2" high; Medium wedge is 9" high; Large wedge is 12" high. We hope this information will be of help to you. Why is there a shipping surcharge? BEST ANSWER: Thank you for your question. This is an over sized item and UPS requires a shipping surcharge to ship the item. We hope this information will be of help to you.